Microsoft has officially released Windows 8.1 preview release and now it is available for free download at Windows store. 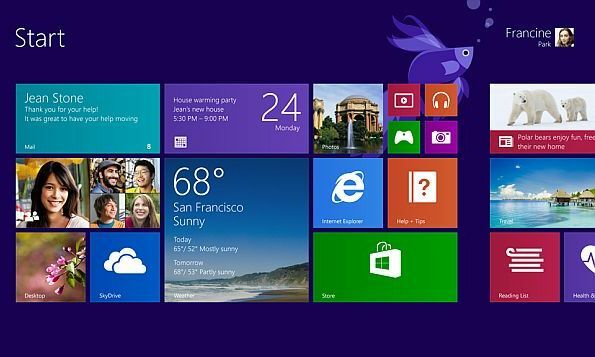 It is an important update to the Windows 8 operating system which was launched in October 2012. Microsoft implemented this update for rectifying some bugs and now released as a preview version, so the final build will be launched later. Windows 8.1 Preview version has lot of updates such as new desktop apps, Internet Explorer 11, improved Bing search, Start Button, slide show on lock screen, boot to desktop, desktop background in start screen and more features. How to Upgrade your System to Windows 8.1 Preview? There are two ways to upgrade your system to Windows 8.1 through the Windows store or downloading ISO image files. If you are using any of the windows versions, you can install through the bootable ISO images that are available in 13 languages. Except the Windows 8 users have to convert the ISO image as a bootable DVD or Bootable Flash drive. After updating, you cannot uninstall the Windows 8.1 update from your system. When you update to final build of this release, you will lose all desktop apps from your system. Backup your system before you go to update otherwise you will lose your personal file.